plus a quintet of all the players. We speak not of the archaic theological doctrine, whereby prayers are offered to dead saints who may then intercede directly to God on our behalf. We do, however, seek to steal a little of that image. Our Intercessions are of a far more earthly nature, and occur not in heaven, but in the austerely beautiful surroundings of St Leonard’s Church, Shoreditch. Neither do we come to pray, but to make sound. Sound surrounded by little pools of silence. 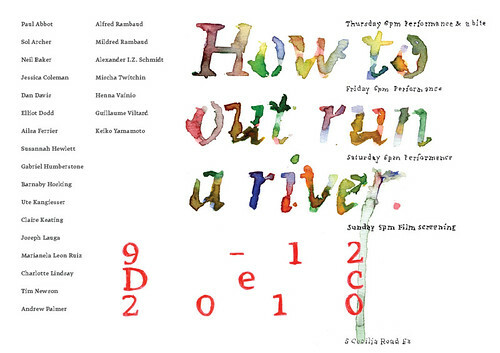 Sound from many ages, transplanted into strange and unfamiliar contexts. The ghostly beauty of Johann Sebastian Bach interceded by Free Improvisation: how strange… and short Bartok duets for violin and viola, each interceded by new music that is freshly created in the moment; music from Eugène Ysaÿe and contemporary work by Christian Wolff, all spliced up with the silence , noise and unpredictable flutter of free improvisation. 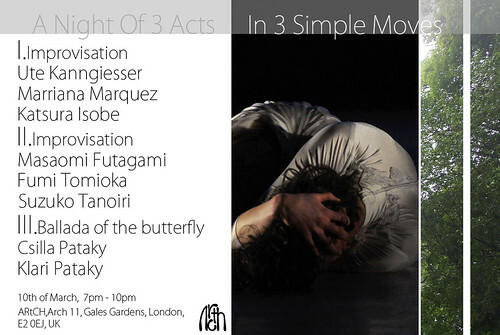 The result : a complex fabric of musical interactions, stitched loosely together and fused into two movements of experimental juxtaposition. flimflam @ Ryan’s. 181 Stoke Newington Church St, N16. Entrance £6/4.00. Doors 8.30. Matthias Müller on trombone and Christian Marien on drums sound like what they are: a working band. 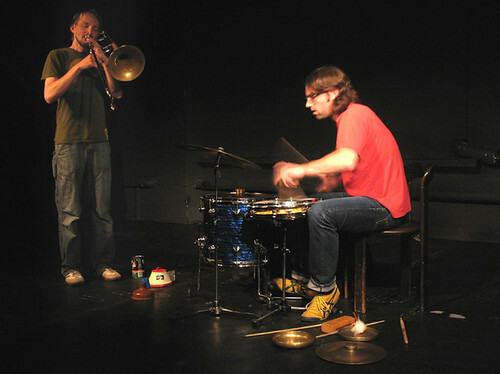 They met in 2003 in Berlin, Germany’s capital of improvised music, and their collaboration resulted in the foundation of the duo „Superimpose“ in 2006. 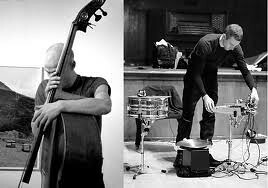 Since then they very consciously developing their music, using and at the same time questioning the full range of musical parameters such as dynamics, density, rhythm, sound, form and tonality. They take paths you can only discover after playing together for a long time with high intensity. The outcome is a raw music, at the same time brutal and peaceful, ugly and nice. 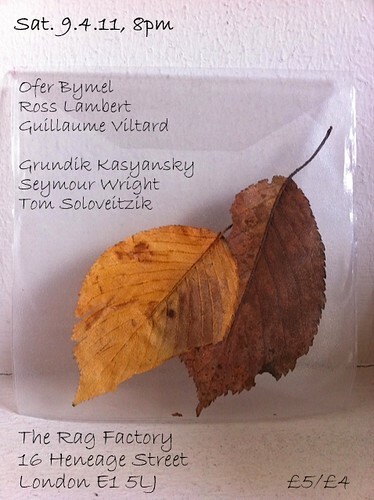 The second set of the evening will be the 1st appearance as a trio of London-based improvisers Grundik Kazyansky, Seymour Wright & Guillaume Viltard (electronics, sax & double-bass). 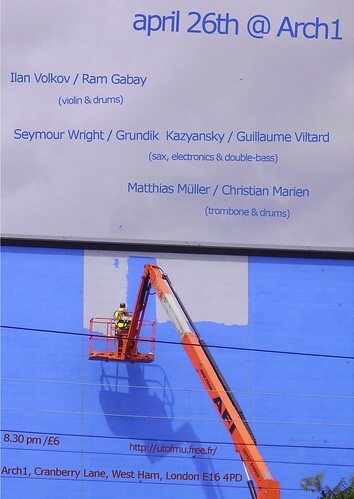 The last and quite unusal duet - violin & drums – is coming from Israel and feature Ilan Volkov & Ram Gabay. By tube: District, Hammersmith and City, Jubilee Line to West Ham. Jubilee Line, DLR to Canning Town. By bus: 2mins from Arch1 there is the 276 from/to Hackney Central, Stratford, Stoke Newington. Last bus 1.12 am. 69, N69, 15, N15, 115, N115 from/to Canning Town. By train: C2C to West Ham (trains to/from Fenchurch Street). By car: A13 exit Canning Town. Free parking outside the venue. Arch1 is located 5 min walk from West Ham station and 12 min walk from Canning Town station. 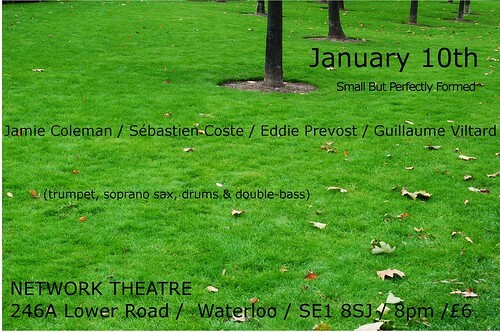 “The Best of free improvised music” : the annual “Cast of Thousands” Christmas event. Pretty much everyone is playing including a few surprise guests and novelty acts. 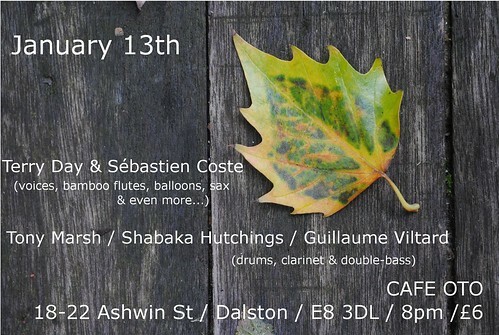 I’ll play a trio with Alex Hawkins on piano & Terry Day back to the drums… and perhaps a few other acts.